Sixteen-year-old Olivia Hill, a sixth-form student at Paston College, North Walsham, is a champion in the making. This talented young shooter, who took up the sport less than two years ago, has already reached a high competitive standard, and is training hard for her climb to the very pinnacle of success: the Olympic Games. Combined with unwavering support from her mum, Lisa, the financial assistance from Pellpax will provide Olivia with the means to train hard and to attend competitions. 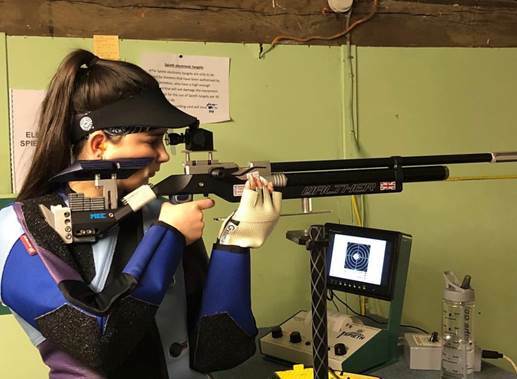 Olivia – currently the only competing 10m Precision Air Rifle shooter in Norfolk – is a member of the Norfolk County team, the National Scout Rifle Squad, and the GB Rifle Talent Squad. 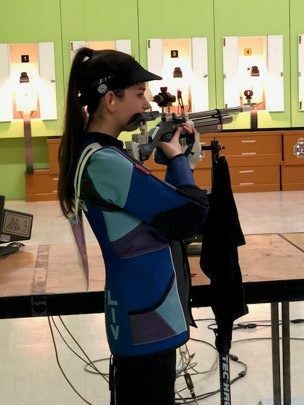 In March this year, Olivia was accepted by the England Rifle Academy (an ESSU project), established for the enhanced coaching and training of talented individuals. Besides shooting practice at North Walsham Rifle and Pistol Club, and Norwich City Target Club, Olivia’s training schedule includes balancing exercises, dry firing, and a conditioning programme for stamina and strength. In February this year, Olivia took part in her first international competition, the 41st InterShoot event in The Hague, Holland. 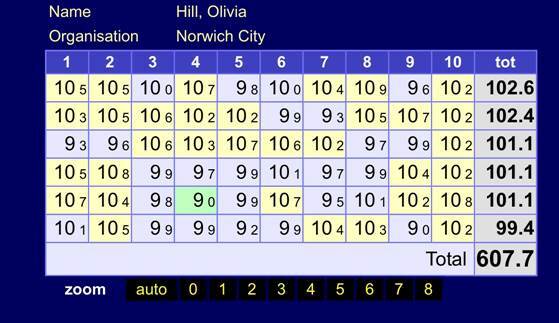 She performed well and was delighted to achieve a personal best score. In 2018, there will be many more opportunities for Olivia to build on her experience. In April, Olivia will be competing in the British Open Airgun Championships at Bisley Shooting Ground, in Surrey. This year, the competition has been pushed back from its usual slot in February, so that competitors can enjoy the new rules that see women and juniors shooting a 60-shot match (as opposed to the former 40-shot), which brings ladies’ and juniors’ events in line with the men’s. Later in the year, Olivia will be taking part in the ESSU competition, also held at Bisley. Over the coming months, Olivia will be doing some product testing for Pellpax. Keep an eye on the Pellpax blog page to find out how rifles from some of the top manufacturers fare in Olivia’s capable hands.